"Every time we meet 'the other'", writes Ryszard Kapuscinski, “we've always had three choices : to wage war against him/her, to hide behind a wall or to establish a dialogue." With the season of bloody conflicts in the Balkans being over, today we witness lots of signals that highlight a wish for dialogue. Various actors emerged from the breakup of the former Yugoslavia, for example, are engaged in a slow but fruitful process of rapprochement, leading to a fairer and more constructive atmosphere in the entire region. The last evidence of this process has been the trilateral summit among Serbia, Croatia and Slovenia (held in early April in Smederevo), in which Serbian President Boris Tadic and the prime ministers of Slovenia and Croatia, Borut Pahor and Jadranka Kosor, talked about economic cooperation and of their common European future, but also about how to heal old wounds. The dialogue process, however, is always a difficult exercise. 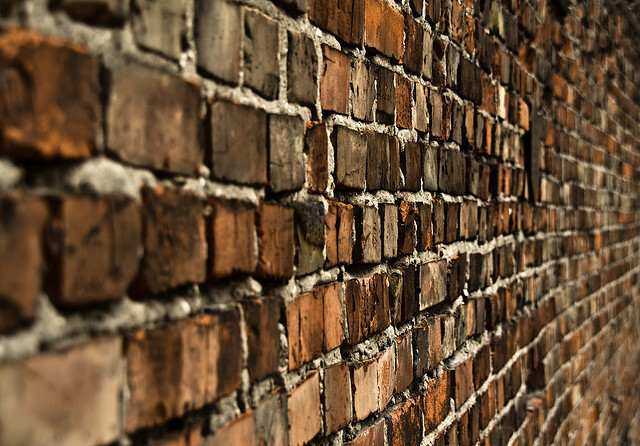 For many, the temptation is to shift to a short-sighted but reassuring alternative: to raise walls high enough to keep “the other” at a safe distance. These walls are often invisible, made of silence and distrust, like the one that still divides the different communities of Bosnia, or the one which dooms Kosovo to remain in a state of limbo. Or they are subtle and impenetrable, like the ones which keep the Roma apart from the rest of their fellow citizens, with few exceptions, in every Balkan country. Sometimes, the inability to find a common language leads to paradoxical situations, difficult to understand and even harder to explain, as the endless feud between Greece and Macedonia, a feud made of historical recriminations and furious fights over identity, that have recently reached the benches of the International Court of Justice in The Hague. Lately, however, the walls in the Balkans have been becoming even more concrete and real. To stop the flow of migrants (mostly from Afghanistan and North Africa) coming through Turkey across the land border marked by the Evros (Meric) river, in January 2011 Athens announced its intention to erect a 12 km long fence, up to 5 meters high, in the vicinity of the border city of Orestiada. Despite the protests and anger stirred up by the proposal, Greece seems determined to build its “anti-immigrants” wall, as reiterated at the end of March by the ellenic Minister for Civil Defence Christos Papoutsis. The emotions provoked by the political earthquake taking place in North Africa and the Arab world in general, along with concerns raised by the new wave of migrants landings on the Italian shores do not inspire second thoughts or a softer approach by the political elite in Athens. But that is not all. Almost at the same time, neighboring Bulgaria has also announced its intention to restore parts of the Cold War era fences along the border with Turkey. The official reason for this initiative, this time, is sanitary: the fence should stop outbreaks of foot and mouth desease, as the one affecting South-East Bulgaria in recent weeks. The decision, however, appears to have roots in the temporary exclusion of the country from the Schengen area. It's no secret that Sofia is trying to prove to the skeptical countries of the "old Europe" (Germany, but especially France), that Bulgaria is really able to control its borders, today's outer limit of the European Union. The Turkish reaction to the “fence fever” of its Western neighbors has so far been cautious. In Ankara, however, the bad mood is palpable, and the official stances of Athens and Sofia sound unconvincing. Many think that the real reasons why Greece (and now Bulgaria, too) want to raise walls are essentially political, and a direct consequence of the slow but inexorable widening of the gap that today separates Turkey from the EU. "Unfortunately, the [planned] barrier will mark the victory of Sarkozy's vision of Europe's borders", Erdal Safak, co-director of the Sabah newspaper, wrote in January referring to the fence of Orestiada. "The message of the wall is that the borders of Europe actually run along the shores of the Evros river." To put it another way, the workforce that should mix concrete and stretch barbed wire is Greek and Bulgarian. The architects who designed the wall this time are, however, to be sought in Paris, Berlin and Brussels.